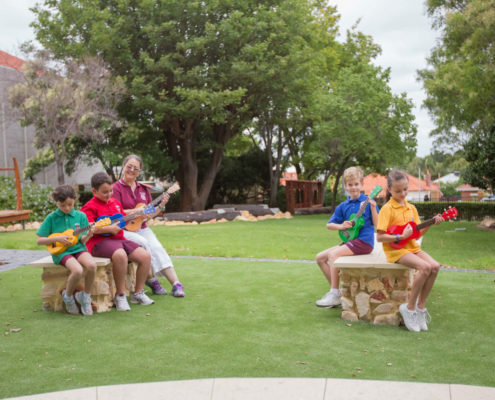 St. Peter’s offers a comprehensive and diverse program of music to all children from Pre-Primary through to Year Six. 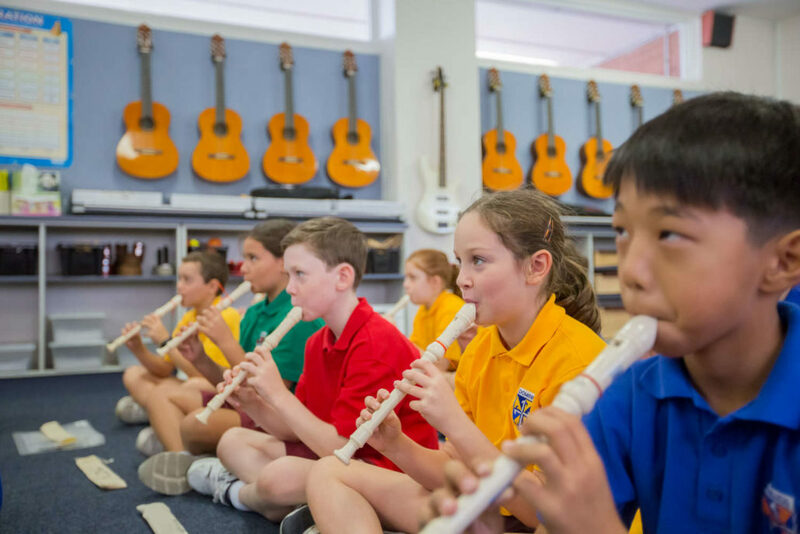 Included in the program is one lesson of class music per week as well as opportunities to participate in our award-winning Choir, Concert Band, Instrumental Program and Ensembles. 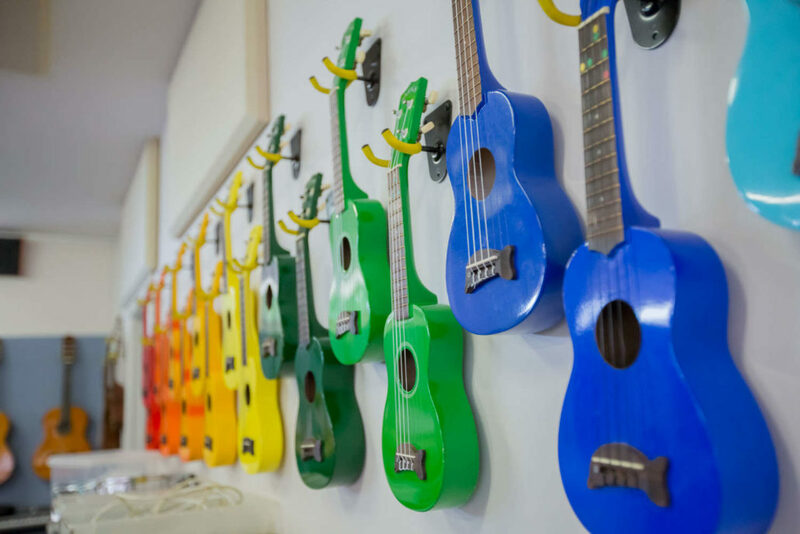 Across all year groups, the children use their voices, bodies and classroom instruments to create music. 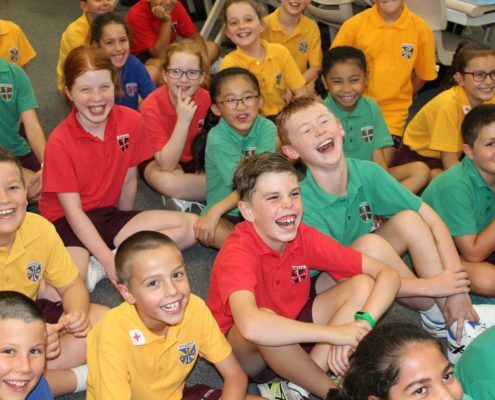 There is a keen focus on developing the children’s aural skills and in-tune singing voices that utilise healthy technique and produce a pleasing singing tone. 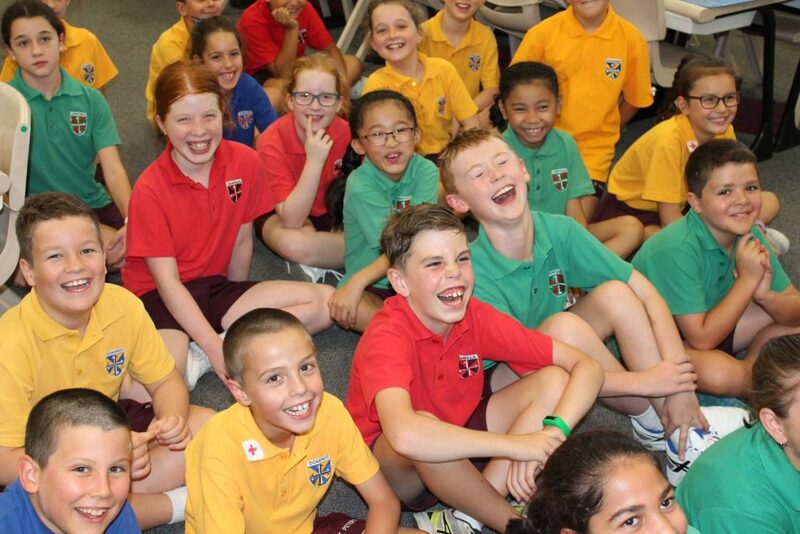 Part-work and singing in rounds and canons will feature in most lessons. 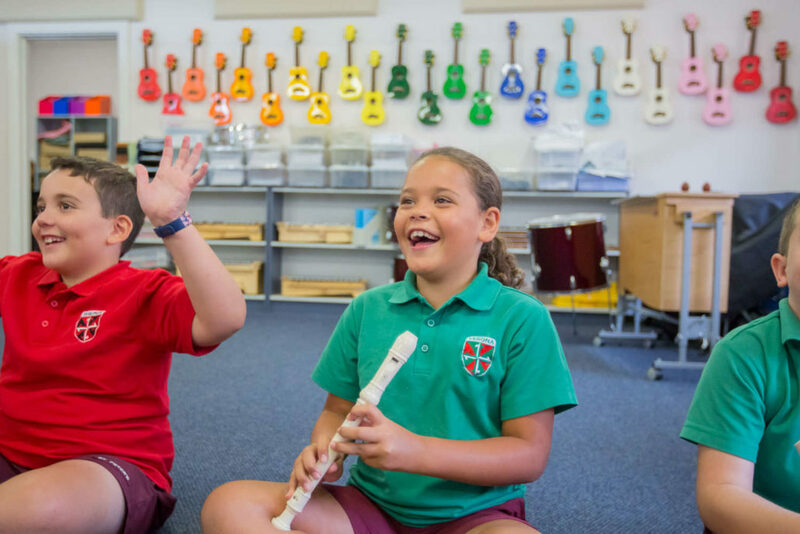 Engaging the whole body in dance and movement activities also feature in most lessons as these activities are crucial to further developing the children’s rhythm, timing and ‘whole-body’ musicianship skills. Improvisation from the earliest is also encouraged. 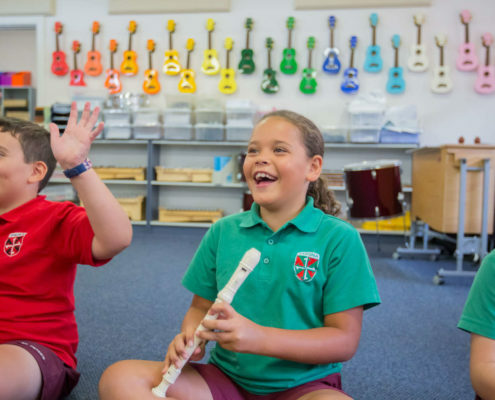 The class Music Program utilises Kodaly Methodology, Orff Schulwerk as well as Dalcroze techniques. 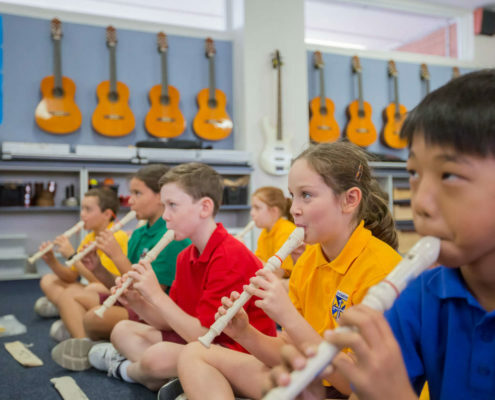 As a precursor to the Woodwind and Brass Program, the children learn to play Recorder in Years Three and Four. The focus here is on developing correct technique with good embouchure, tonguing and posture. Children who do well in this Program are encouraged to join our award-winning Woodwind and Brass Program. 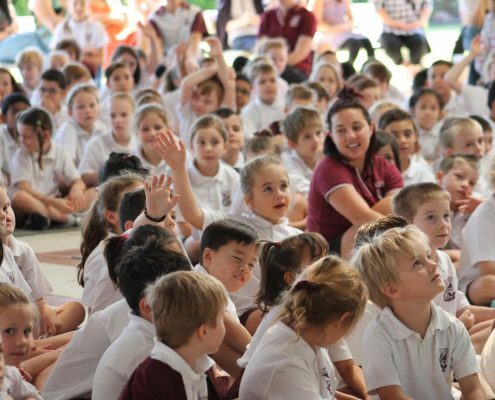 This program feeds directly into our award-winning Concert Band Program which provides extension and performance opportunities both at School, as well as at the annual Catholic Schools’ Performing Arts Festival. 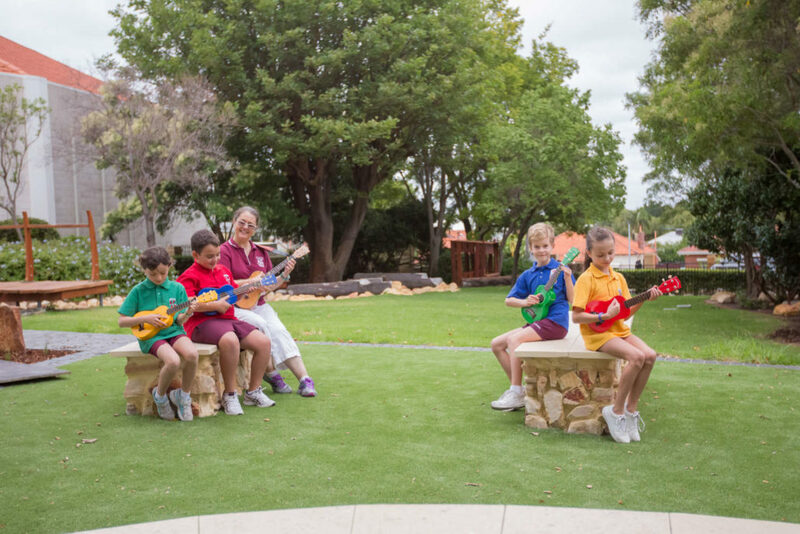 In Year Five the children enjoy learning the Ukulele as part of their class music program. 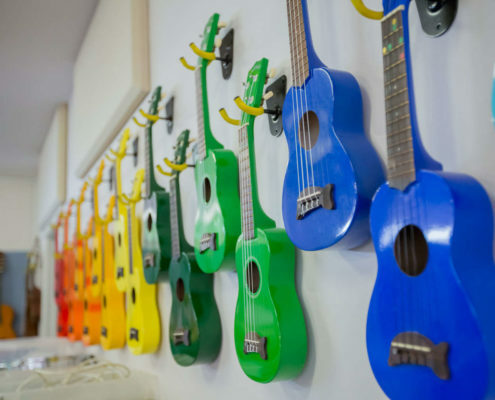 In Year Six, the children get to explore the instruments of the contemporary rock and pop band which includes: drum-kit, electric and acoustic bass, electric and acoustic guitar, keyboard, ukulele and various tuned and un-tuned percussion instruments. 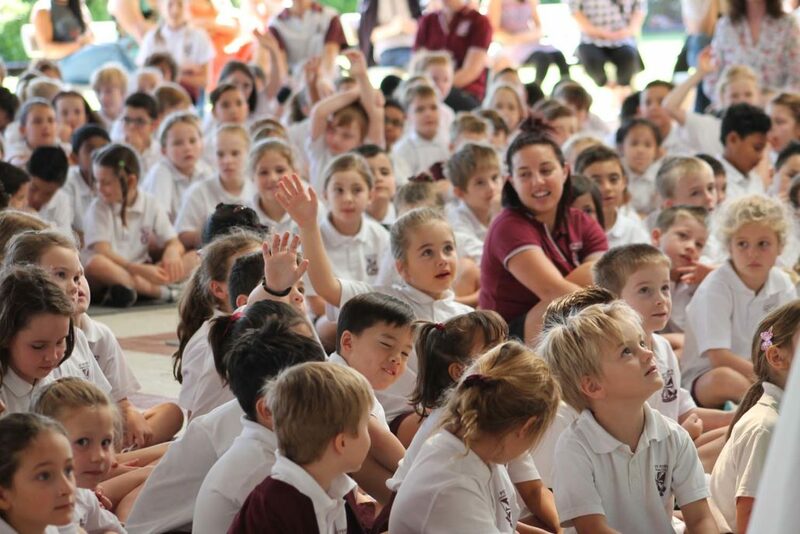 There is strong demand for places in the award-winning Choir Program which is offered to children from Year Three onwards. Other Ensembles include the award-winning Classical Guitar Ensemble as well as chamber woodwind and brass ensembles.